I have shown in Alamo Kiwanis/AZ, Western Spirit/Cheyenne WY, American Academy of Equine Arts/Lexington KY, Western Heritage/Great Falls MT, Western Masters/Great Falls MT and many others. I specialize in contemporary horses an cowboys in pencil but an broadening out into landscape, plants and wildlife. I am also working in acrylics. View my Facebook page for additional images and to contact me. 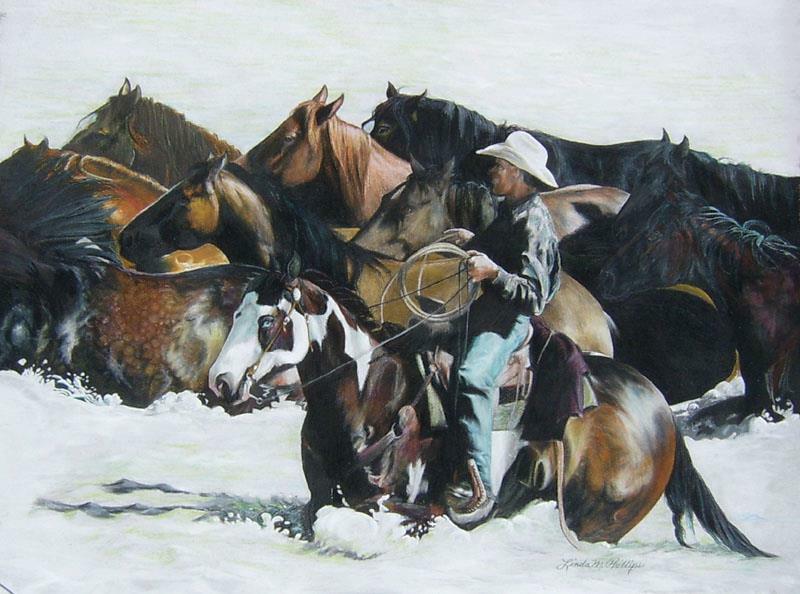 I am an award winning western Artist having shown at many shows throughout the western United States.